These waterproof World Hikers come out of the box looking ruggedly handsome, but they look even better after they've logged some miles out in the dirt, dust, and mud of the trails. 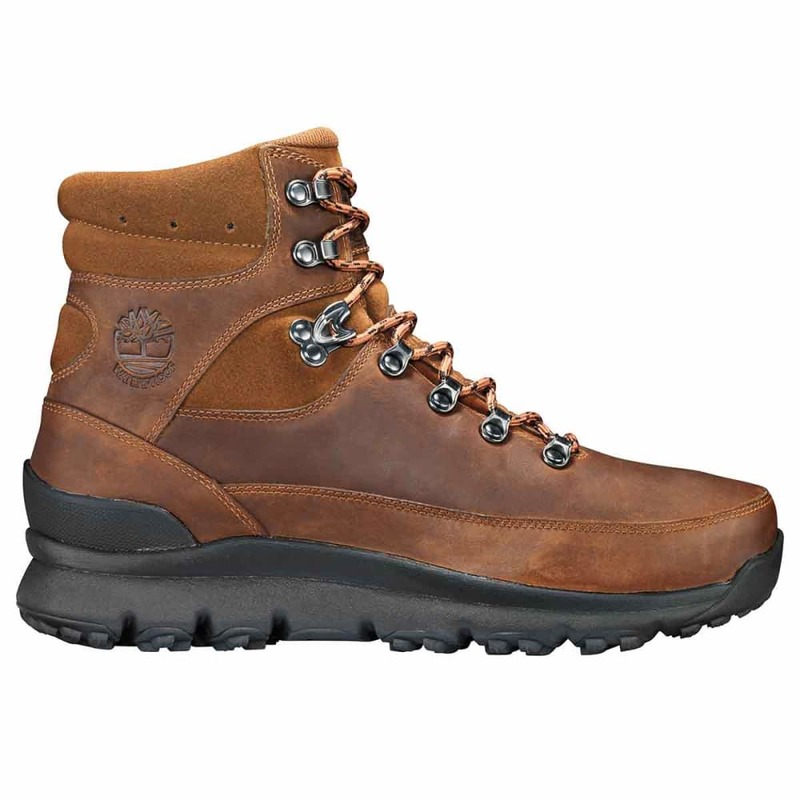 Premium waterproof leather uppers: Timberland's waterproof leather footwear uses waterproof impregnated properties that become part of the leather during the tanning process. They also either seam-seal the footwear or use an internal waterproof and breathable membrane to help feet stay dry. Silver-Rated Tannery: One or more major components use at least 50% leather tanned in a facility rated Silver or higher by a third-party environmental audit. The Leather Working Group judges and classifies tanneries based on energy use, waste production, and water treatment. TimberDry™ waterproof membrane: This product features a Timber-Dry™ waterproof membrane or linings to help keep feet dry, made with 50% PET (recycled plastic bottles).